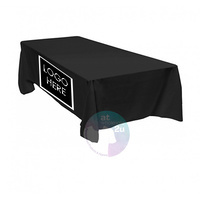 Our Black Fitted Tablecloths are classic in design, ideal for any display. 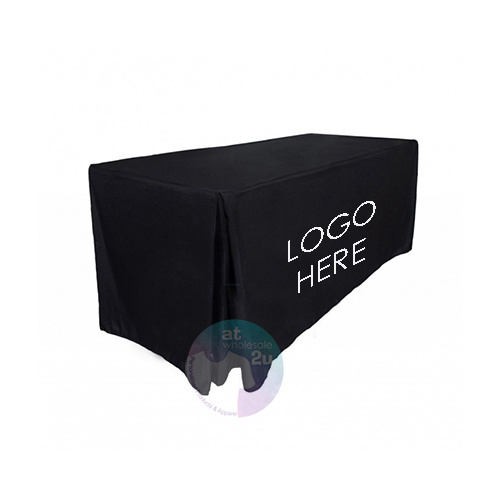 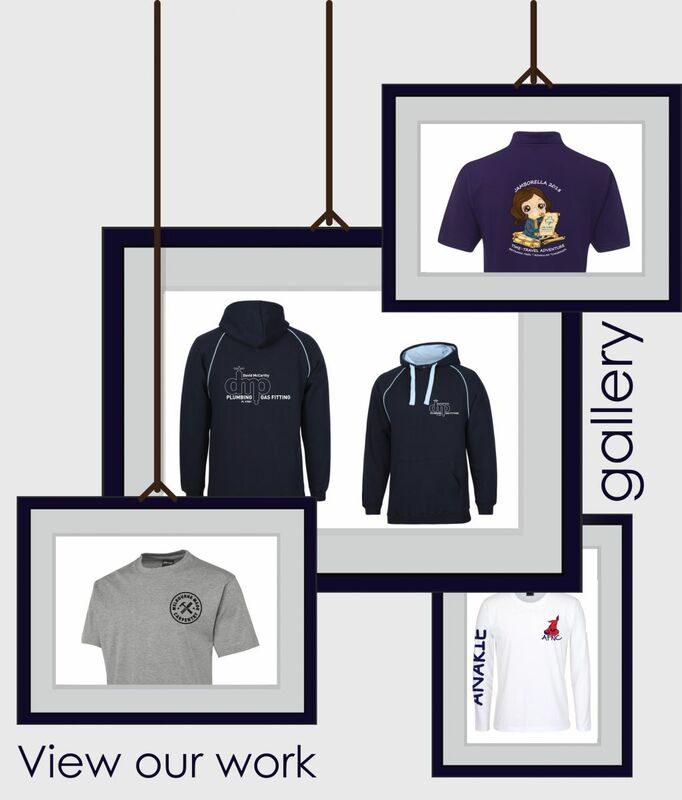 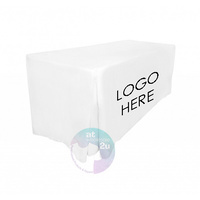 With your logo added to the front your business will be sure to stand out in a crowd. 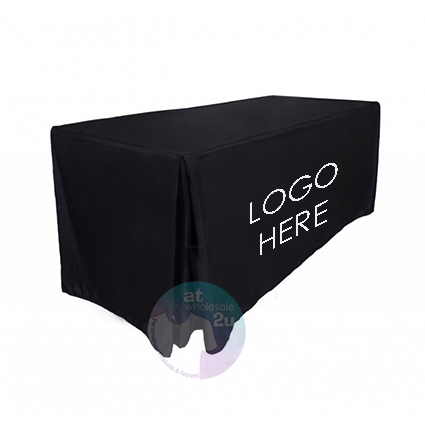 With pleated edges, for extra room and stunning, professional fabric at a fraction of the cost of a skirting/cloth combo, these fitted tablecloths are the all-in-one answer for so many occasions! 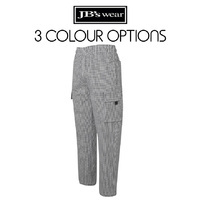 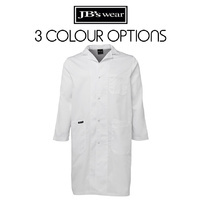 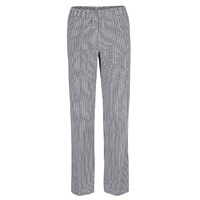 Seamlessly stitched with fold-over hem and square corners. 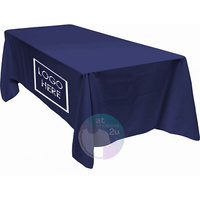 Durable: Very strong 220gs/m, EasyCare machine washable designed to tough industry standards.